When will be The Getaway Car next episode air date? Is The Getaway Car renewed or cancelled? Where to countdown The Getaway Car air dates? Is The Getaway Car worth watching? 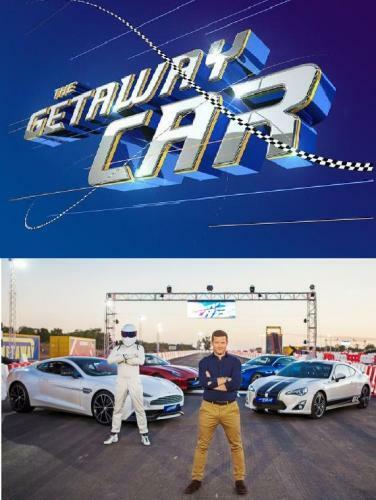 Presented by Dermot O'Leary, the Saturday night entertainment show, The Getaway Car, will see couples compete in a series of exciting driving challenges that test the limits of their relationships behind the wheel of a car. Can married couples, grandparents and grandchildren, brothers and sisters or best friends work together to scoop the top prize? Or for that matter, will they still be talking afterwards?The Getaway Car is packed with thrills, laughter and challenges. At the centre of the show is the fastest driver of his generation: the enigmatic, the iconic, The Stig. Nobody said winning the money would be easy.12 x 60 minute episodes have been ordered. 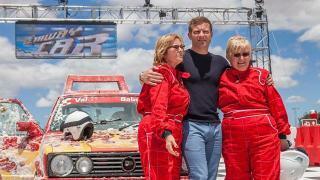 Dermot O'Leary returns to host another episode of The Getaway Car. 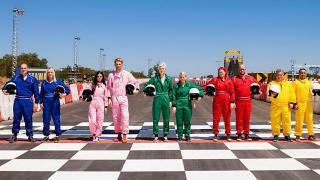 In an action-packed competition, five couples will undertake a series of driving challenges with the odd quiz question thrown in for good measure. Not for the faint-hearted, the couples will undertake obstacle courses, high-speed circuits and off-road challenges in a multitude of cars, ranging from 4x4 race buggies to high powered supercars. Nick and Malina from Blackpool combine action-man heroics with beauty and poise but they are going to need more than that to see them to the final. Also putting their driving skills to the test are mother and son - Shirley and Lee as well as real life Fireman Sam and his co-driver, the less well-known, Fireman Jim, who are rather surprisingly scared of heights and claustrophobic. Finally, describing themselves as 'big-hearted big kids' best friends Dom and Tess are going to have to get serious and grown-up if they want to face the Stig and win £10,000. 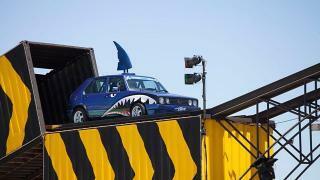 The Getaway Car next episode air date provides TVMaze for you. EpisoDate.com is your TV show guide to Countdown The Getaway Car Episode Air Dates and to stay in touch with The Getaway Car next episode Air Date and your others favorite TV Shows. Add the shows you like to a "Watchlist" and let the site take it from there.